With a welcoming atmosphere, the Club Konakli Hotel is perfect for those looking for a sunshine getaway with a difference. The hotel caters for couples and families with a host of outdoor pools, on-site restaurant, spa treatments as well as plenty of activities helping guest to find that perfect blend of relaxation and action. 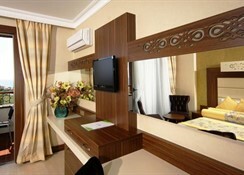 The comfortable and elegant guest rooms ensure that guests feel at home while the beach and many attractions in the area offer plenty of fun and sightseeing opportunities. 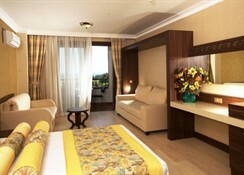 The Club Konakli Hotel is a magical holiday destination where guests can create holiday memories that last a lifetime. Conveniently located just several hundred metres from the sandy beach, guests can venture out of the hotel and spend time enjoying the golden sands and clear waters. If that is not enough then there are many attractions in the area including Alanya Lunapark, a cultural park as well as a quaint marina. There is an impressive choice of restaurants and bars in the vicinity as well as plenty of shops for finding that perfect holiday souvenir. 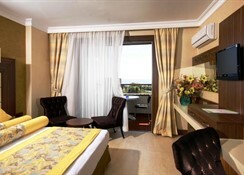 The hotel is 110km from the airport. 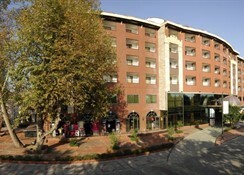 There is a total of 223 guest rooms at the hotel and all provide guests with an exceptional standard of accommodation. 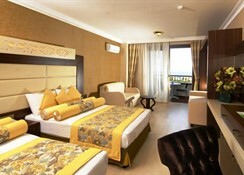 Each room is tastefully designed with pleasant colours and plenty of space, ensuring that guests can relax and unwind. 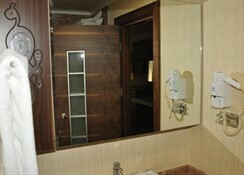 All rooms come with air conditioning, balcony, bathtub, hairdryer, telephone, minibar, satellite TV, bar and a safe. Guests can take their pick from an impressive choice of dishes at the buffet restaurant. Here they can find local dishes and international dishes during breakfast, late breakfast, lunch and dinner. There are three bars on-site that offer a great choice of beverages throughout the day while there is a beach bar that offers a perfect setting while guests sip a refreshing cocktail in the sun. There is no shortage of fun and excitement at the hotel as the large outdoor pool and sun terrace are ideal for those who love to spend time in the pool or simply relaxing on a sun lounger. There is an on-site water park with several slides for guests of all ages to enjoy while the little ones will love the kids club and playground. Guests can take advantage of the spa where they can book a number of treatments and massages or they can head to the fitness centre where they will find a fully-equipped gym. For true thrill seekers, there are water sports on offer at many of the local beaches while the water parks are a great way to spend the day enjoying the rides in the sun. At the on-site amphitheatre, guest will find a range of shows and live music taking place throughout the day. 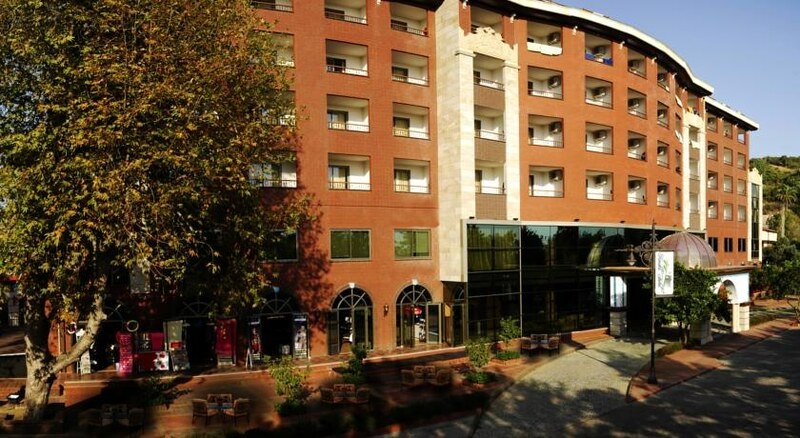 It was very nice really loved the hotel, very nice staff would love to visit again. Beautiful food.